Bachelorette Baby! DeAnna Pappas welcomes son Austin Michael. 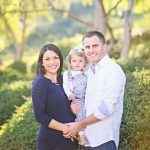 Posted on March 2, 2016 by Jenny S. by Jenny S.
Former Bachelorette DeAnna Pappas Stagliano and her husband, Stephen Stagliano, have welcomed their second child! Son Austin Michael Stagliano, was born on Tuesday, March 1st weighing 7 lbs., 11 oz. and measuring 22 inches long. 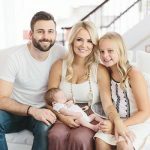 Bachelorette Emily Maynard Johnson is pregnant again! Posted on March 1, 2016 by Jenny S. by Jenny S.
Cast your vote for the best dressed bump at the 2016 Oscars! Posted on February 29, 2016 by Jenny S. by Jenny S.
Which celebrity mom-to-be wowed you the most at the 2016 Academy Awards? That’s so fetch! Which Mean Girls actress is ready to be a cool mom? Posted on February 28, 2016 February 28, 2016 by Jenny S. by Jenny S.
Party of three, please! Actress Lacey Chabert is pregnant with her first child! Which 80s R&B star is going to be a dad for the 7th time? Posted on February 27, 2016 by Jenny S. by Jenny S.
It’s his prerogative: rapper Bobby Brown and his wife, Alicia Etheredge, are pregnant again! The couple, married since 2012, are already parents to two children: a 7 month old daughter named Bohdi Jameson Rein and 6-year-old son named Cassius.